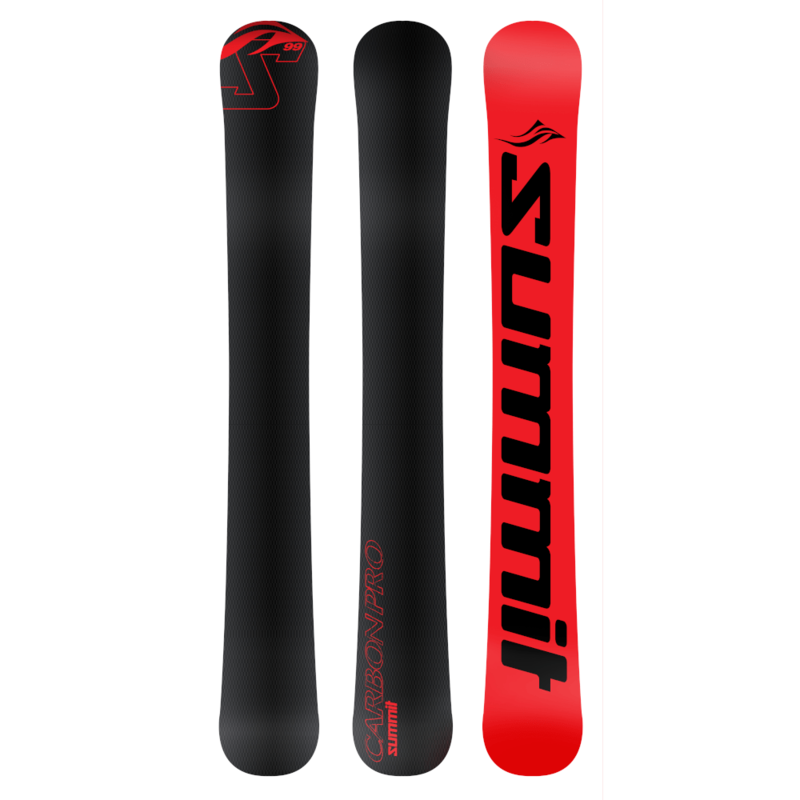 Summit Carbon Pro 99cm Skiboards SC 2019 – “High performance is what Summit Skiboards is all about. This year is no exception. These Carbon Pros are true all mountain skiboards, comfortable anywhere and in any conditions.” — Doc Roberts, President, Summit Skiboards, Inc. The Summit Carbon Pro 99cm Skiboards SC 2019 feature fast, die cut sintered bases (for speed and glide), aggressive beveled edges (for grip), twin tip high energy wood core and a carbon fiber top sheet (for sheer fun enhancing stability at speed as well as being slightly stiffer than the Ecstatic 99). These babies are truly ready to rip. As with all Summit Skiboards, these are handcrafted and designed with one goal in mind — to take the sport of skiboarding to a new level of performance. Be prepared to push the limits of what you thought was possible on skiboards, once again. The Carbon fiber top sheet adds extra durability, enhanced stability in edging and higher energy performance. And, it sure looks great, especially in the sunlight. You may want to just hang these on the wall instead (and love them every morning)! With Sidewall/Cap construction, the Carbon Pro provides many additional advantages. Among these advantages are increased torsional stability, greater edge protection, enhanced power transfer to the edges, additional vibration dampening, greater strength and reinforce the full length flex from tip to tail. Cap construction is front and rear for added durability. The parabolic sidecut is constructed to function impeccably with the solid Northern Hemisphere Birch wood core. This high energy construction delivers almost effortless carves, with stability at speeds that will truly surprise you. This consistent tip to tail flex brings a new level of carving to skiboards, whether in glove dragging lay it over carves or ripping the moguls. Traditional camber provides edge grip you can count on. Designed for all mountain riding, these custom skiboards are at home anywhere in the resorts including those breath taking steep chutes or flying through the glades. Excellent in the pipes and parks. You can ride off the back tails and know you are supported, allowing for super fast advanced turns. 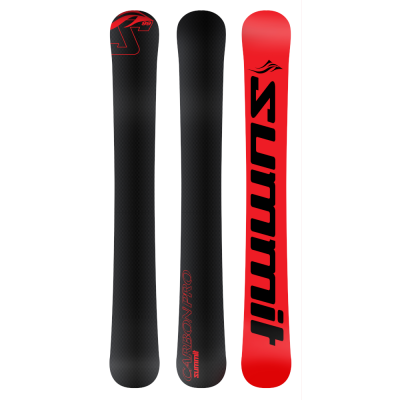 For backcountry enthusiasts, the Summit Carbon Pro 99cm Skiboards SC 2019 are the perfect ascent skis – providing an ease in climbing, so light you hardly notice them on your feet, combined with the perfect design for ripping your line down the slopes. The wide body platform allows you to blast those deep powder stashes with ease, offering awesome floatation. 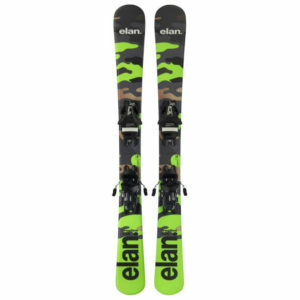 These work great with AT bindings with two position climbing. These symmetrical twin tips were designed for ease of riding whether forwards or backwards or just spinning down the mountain and making yourself dizzy! No mass produced skiboards can compare to the smooth ride of these Carbon Pro skiboards, no matter what you choose to do on the slopes. Recommended for: advanced to expert riders and for intermediate riders who are ready to take a quantum leap. The Carbon Pro is designed for aggressive riders, high flyers and definitely pushing the limits. Great for: all mountain riding, backcountry, pipes and parks, glades and cruising the groomers in style. Tuning: These Summit Skiboards come with fully tuned edges however bases require wax for best performance. You can have us hot wax your skiboards before shipping (just choose this option when checking out) or do-it-yourself with our Skiboards.com Quick Mini Tune kit. Base color may varies between red/black and black/red. One unique thing about the Summit Carbon Pro 99cm Skiboards is that they accommodate a full range of binding options, including the Atomic Release bindings, AT bindings, telemark bindings or even snowboard bindings — like the Technine Custom Pro DS Snowboard Bindings. A special aluminum layer (does not inhibit flex) is installed beneath the top sheet for greater retention of mounted release bindings as well as providing enhanced edge grip. In addition, the CP 99 features 4 stainless steel inserts to easily accept non-release and any snowboard bindings. We premount the release bindings for you and include free wide brakes. Atomic L10 Step-in Release Bindings: These are our choice for adjustable, step-in release bindings this season. These come with free mounting and wide brakes at no extra charge. These Atomic bindings do no inhibit flex in any way and bend with your skiboards thus providing maximum performance. Atomic FFG 12 Step-in Release Bindings: Take a step up in performance with higher DIN setting (4-12) for you truly adventurous souls. Comes with free mounting and wide brakes at no extra charge. These Atomic bindings do no inhibit flex in any way and bend with your skiboards thus providing maximum performance. Snowboard Bindings: Yes, these can be mounted with any Snowboard bindings or purchase ours. Finally, boots that feel like snowboard boots because they are! Inserts hold your bindings secure. It is highly recommended to purchase our Technine Custom Pro DS Snowboard Bindings with Summit riser kit to elevate your bindings so you can truly lay it over on carving. Use your own Snowboard Bindings and Boots. These mount direct into these skiboards. You will need to also order the Snowboard Binding Adaptor Kit for maximum performance. Non-Release Bindings: The Carbon Pro 99 can be mounted with non-release bindings that fit the standard 40mmX40mm insert pattern. Sidewall/Cap (SC) Hybrid Construction: The high energy, lively wood core is sandwiched between two top layers of triaxial fiberglass, a layer of Kevlar and a bottom layer of triaxial fiberglass providing just the right combination of flex and torsional stiffness that offers an incredibly smooth ride. In addition, an extra layer of biaxial fiberglass is added to maintain the smooth tip-to-tail flex allowing just the right carving feel. A layer of rubber dampening makes for vibration absorption while still allowing for maximum “road feel”. With cap/sidewall construction, the Carbon Pro provides many advantages. Among these advantages are increased torsional stability, greater edge protection, enhanced power transfer to the edges, additional vibration dampening, greater strength and reinforce the full length flex from tip to tail. Cap construction is front and rear for added durability. Symmetrical Twin-tips: makes it easier to ride forwards floatas well as backwards (fakie). Excellent handling in the parks and pipes. Also, makes for the most perfect carves. Sintered bases: this is one of the best base materials for durability, maximum wax absorption and speed. These p-tex 4000 bases have less friction and thus more speed as well as less vulnerability to abrasion and impacts. Polyurethane High Gloss Top Sheet: protects carbon fiber and graphics and top layer. Additional UV protection added.